The Most Expensive Stradivari Failed to Sell! 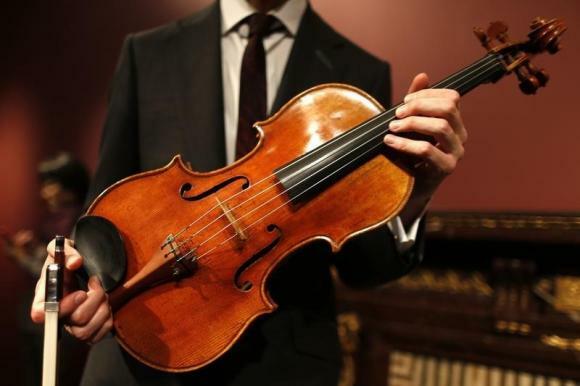 The "Macdonald" viola, which was made by the famous Italian artisan Antonio Stradivari in 1719, has failed to sell at Sotheby's sealed bidding auction. The asking price was $45 million US dollars and no buyer took the bite. The current record price of a Stradivari remains at $15.9M held by the 'Lady Blunt' made in 1721. Violins have proven to be great investments (10-20% annually ) like great paintings by Picasso. If one bought an Italian violin back in 1960s for $900 USD, the same instrument today would be worth $100,000 USD. Now going back to Strad: one could buy a Stradivari violin in 1970s for $30,000 USD. Today, that instrument would be selling around $3 million. C'est la vie.